While quite a few arena rock acts of the '70s found it difficult to sustain their popularity beyond that decade, several acts continued to flourish and enjoyed some of their biggest commercial success: Journey, Styx, REO Speedwagon, and especially Foreigner. Foreigner's leader from the beginning has been British guitarist Mick Jones, who first broke into the music biz as a "hired gun" of sorts, appearing on recordings by George Harrison and Peter Frampton, and as part of a latter-day version of hard rockers Spooky Tooth. By the mid-'70s, Jones had relocated to New York City, where he was briefly a member of the Leslie West Band and served as an A&R man for a record company. But it wasn't long before Jones felt the urge to be part of another rock outfit as he sought to put together a band that would be able to combine elements of rock, progressive, R&B, and pop into a single, cohesive style. Jones soon assembled a group consisting of ex-King Crimson sax player Ian McDonald and ex-Ian Hunter drummer Dennis Elliot (both of whom were British), along with New York musicians Al Greenwood (keyboards), Ed Gagliardi (bass), and Lou Gramm (vocals), the latter of whom was previously a member of an obscure '70s outfit called Black Sheep. 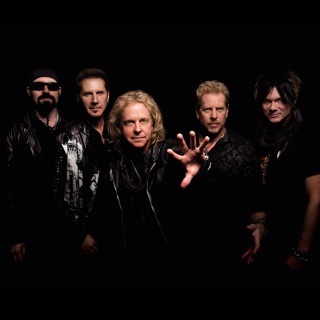 Jones found immediate songwriting chemistry with Gramm (one of the first songs they wrote together was the eventual hit "Cold as Ice"), resulting in the newly formed band taking the name Foreigner and signing a recording contract with Atlantic Records. 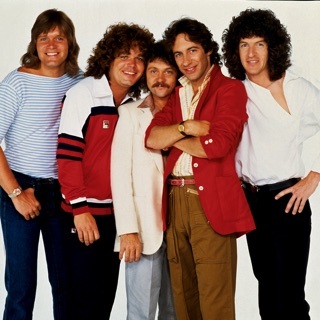 Foreigner's self-titled debut was issued in 1977 and became an immediate hit on the strength of the hit singles "Feels Like the First Time," "Long, Long Way from Home," and the aforementioned "Cold as Ice," as the album would eventually go platinum five times over. Foreigner avoided the dreaded sophomore slump with an even stronger follow-up release, 1978's Double Vision, which spawned such further hit singles as "Hot Blooded" and its title track, and the album stayed in the Top Ten for a solid six months. As a result, the album's success established the sextet as an arena headliner and would go on to become Foreigner's best-selling album of their career (selling seven million copies in the U.S. alone by 2001). 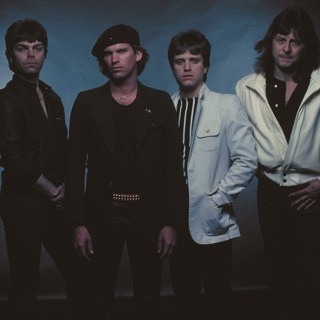 The group's third release overall, Head Games, followed in 1979 and marked the first of many subsequent lineup changes for the group, as Gagliardi was replaced by ex-Peter Frampton and Roxy Music bassist Rick Wills. While the album was another big seller and turned out to be their most straight-ahead musically, both Gramm and Jones felt that the album failed to break any new ground, something that they sought to correct on their next album. The band's lineup was cut back to just a quartet consisting of Jones, Gramm, Elliot, and Wills as super-producer Mutt Lange (fresh off late-'70s success with AC/DC) was enlisted to oversee the proceedings. The ploy worked and the resulting 1981 release, 4, was another massive seller, spawning such further hit singles as "Urgent" (which featured a blazing sax solo from Motown vet Junior Walker), "Jukebox Hero," and the power ballad "Waiting for a Girl Like You." Although the latter tune was a massive hit, it confused some of the band's following as to whether Foreigner was a hard rock band or balladeers. In 1982, a stopgap best-of set, Records, was released and featured ten of band's biggest hit singles, remaining a steady seller to this day (becoming Foreigner's second album to achieve sales of seven million by 2001). It took Foreigner three years to complete a follow-up to 4 with Agent Provocateur being issued in 1984. The band made the transition to the MTV video age without a hitch, with the over the top, gospel-inflected ballad "I Want to Know What Love Is" (which featured the New Jersey Mass Choir) becoming one of the biggest MTV and radio hits that year. But despite the single's success, there was a noticeable dip in sales for Agent Provocateur when compared to their earlier albums due to the fact that the album wasn't as focused and strong overall as their previous recordings. After a mammoth nine-month tour wrapped up a year later, both Jones and Gramm focused on non-Foreigner projects during 1986. Jones produced Bad Company's Fame and Fortune and co-produced Van Halen's hit debut recording with Sammy Hagar, 5150, while Gramm worked on a solo debut. The release of both Gramm's solo album, Ready or Not, as well as Foreigner's sixth studio album overall, Inside Information, came in 1987. While both were successful and spawned Top Ten hits (Gramm with "Midnight Blue" and Foreigner with "Say You Will"), tension between Gramm and Jones came to a head regarding the singer's desire to focus on his solo career, which led to Gramm's split from Foreigner in 1989. 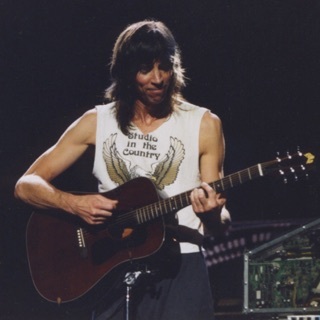 The same year as his split from Foreigner, Gramm issued his second solo album, Long Hard Look, which proved to be not as successful as its predecessor, while Jones produced Billy Joel's Storm Front and issued a star-studded self-titled solo debut. Jones, Elliot, and Wills tried to keep Foreigner afloat with a new singer, Johnny Edwards, issuing a largely ignored album in 1991, Unusual Heat, while Gramm fared no better with a new outfit, Shadow King, issuing a forgotten self-titled debut the same year. Seeing the error in their split, both Jones and Gramm listened to the advice of Atlantic Records and reunited for the recording of three all-new tracks to be included on a more extensive "hits" collection. Issued in 1992, the 17-track The Very Best...And Beyond was Foreigner's most commercially successful release in several years along with the band's first live release, Classic Hits Live, issued a year later.